Neil Macmillen with Mike Chapman, sb, 160 pages. 210x210mm. Printed on gloss art paper, perfect bound with laminated covers. (Publishers Description) This is the story of one village, in the context of the whole coalfield, which reflected life in this part of Somerset for over two hundred years. The North Somerset Coalfield is situated in an Arcadian landscape of valleys and streams, woods and fields only a few miles to the south west of Bath. Even today it is a somewhat secluded area, where access from neighbouring towns has always been difficult. It was an area isolated from the other coalfields in the Midlands and South Wales until the coming of the railways. The populations of Bristol and Bath were growing at the end of the 18th century increasing the need for easily accessible coal and in this unlikely area, amid the green hills of Somerset, there were real possibilities of meeting that demand. Furthermore, the coal owners were men of vision and enterprise. They were prepared to take risks to exploit the coal beneath their land and to look for the possibility of markets beyond their immediate area. There were difficulties to overcome. The coalfield would prove to be one of the most contorted and faulted in the United Kingdom, the seams of coal being thin and rarely level, although mostly free from the dangers of firedamp. Mining here would call for different methods from other coalfields. The whole area is best understood as being distorted into the shape of a basin, tilted to the east, in which the seams of coal and rock form a series of layers which lie parallel to the shape of the bowl. This symmetrical model is, however, seriously disturbed by the faults and folds which have been caused by the northward movement of the Mendip Hills. Only a small portion of the coal measures are exposed at the surface as outcrops, due to the covering of secondary limestone rocks, the Lias and Oolite, which lie above the coal measures. The seams themselves fall into three distinct groups separated by beds of unproductive sandstones and shales, but only the Upper Coal Group was mined at Camerton at the northern eastern edge of the coalfield. This group contains two well-known series of coal-bearing rocks, the first, known as the Radstock series being worked at Camerton, known as the ‘Camerton’ series by the local miners. Lying between 500-700 feet below the surface, it forms a layer about 131/2 feet thick containing six veins which vary in thickness from 9ins to 2ft 4ins, each known by its own local name. The coal from the Radstock series was known to burn clearly and brightly, giving out a good heat and leaving little ash, useful for household purposes. 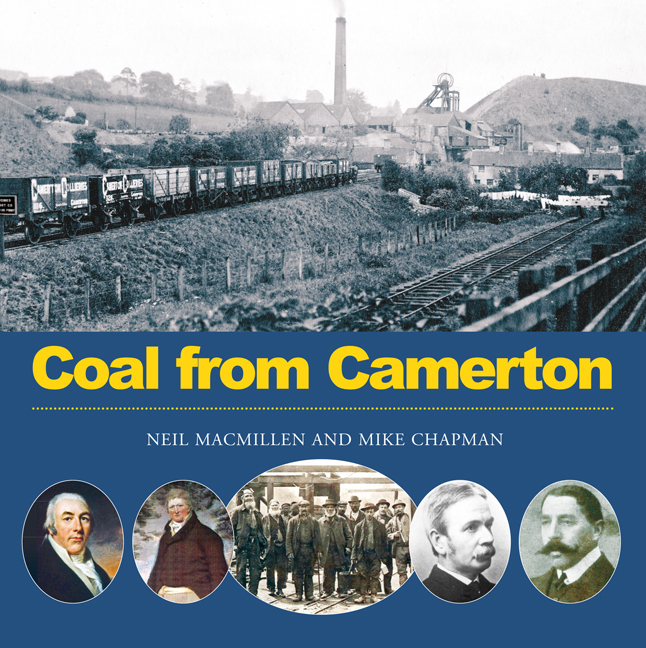 Camerton was the last pit in Somerset to bring coal to the surface from this series. As a result of the difficulties caused by the coalfield being heavily faulted the introduction of underground machinery and other improvements was often delayed although, for the same reason, Somerset miners were regarded as the most skilful and resourceful in the country. This is well illustrated by the comments made by William Smith in his correspondence in 1804, included below. Consequently, extraction became increasingly uneconomic during the early 20th century, even though it has been estimated that some four thousand million tons of coal still remain untapped in the Somerset coalfield. Nevertheless, the vision, determination and exploration of the strata came together to enable this coalfield with character to be mined for almost two hundred years.